Winter wonderlands, lights aplenty and all the food your belly can hold. The holidays are officially here, and there’s nothing like a few boozy beverages (and demure mocktails) to help you rock around the Christmas tree. With so many holiday drink recipes to choose from, how do you know which is best for you and your guests? We feel something that not only tastes great, but is unique (and a bit exotic) is always the best way to leave your guests extra impressed. Entice your guests with these delicious elixirs, and make your party stand out. It could make even Rudolph’s nose shine a little brighter. There's something sweet and even charming about the enchanting taste of vanilla. This cozy cocktail speaks to all the vanilla lovers out there. Serve this boozy treat in clear glass mugs. In a medium saucepan, add the milk, maple syrup, cinnamon stick, nutmeg and star anise and cook over medium-low heat. If using a vanilla bean, split it open and scrape out the seeds. Add the seeds and remainder of vanilla bean pod to the pan. Allow the mixture to cook, stirring occasionally, until hot and steaming. Reduce to low and heat for five minutes, being careful not to let it come to a boil. Remove from heat. Place a fine-mesh sieve over a large heatproof bowl and carefully pour the liquid over the sieve. Discard the solids. Add the liquid back to the saucepan. Stir in the Irish cream, bourbon and vanilla extract. To garnish the mug rims, pour the 1 tablespoon of pure maple syrup into a small saucer. In a small bowl, mix together the sugar and cinnamon, then pour it onto another small saucer. Dip the rims of the glasses into the maple syrup, then dip into the cinnamon and sugar mix, pressing to coat evenly. Flip over and fill glasses with the hot cocktail. Serve. 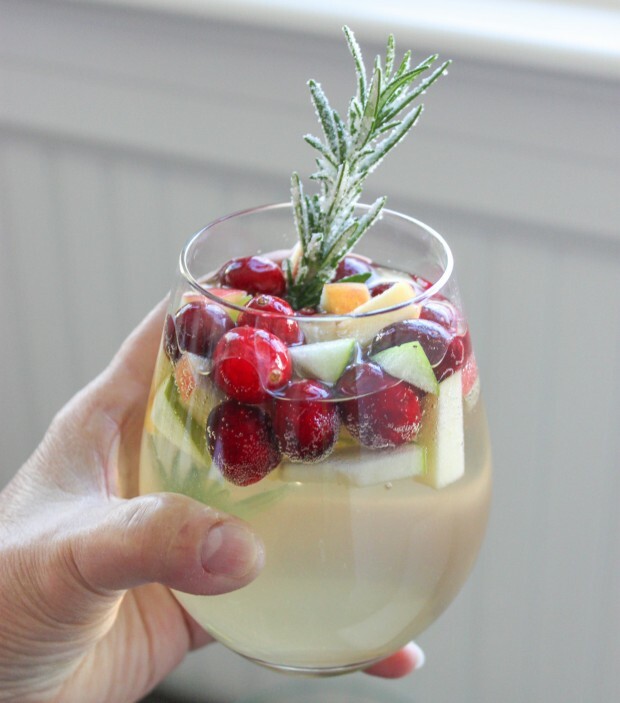 Though sangria, particularly white sangria, is normally associated with warmer temps, this holiday drink recipe uses the best of winter’s offerings to create an unforgettable earthy experience. And since this recipe uses Pinot Grigio, consider going for stemmed wine glasses for serving. In a large pitcher, combine all ingredients together and use a large spoon to stir. Be sure to stir from the bottom so that sugar dissolves. Once you’ve stirred the mix, place the pitcher inside your refrigerator to chill. While your sangria is chilling, prepare garnishes. Douse long sprigs of rosemary with white sugar. This creates a “snow falling on cedars” look. Once the drink has chilled, pour into a glass, add garnishes and sip away. The holidays can’t be celebrated properly without cider. There are simply too many amazing apples during this time of year to allow such an injustice. This cider punch doesn’t overdo it on the sweetness either. For this beverage, opt for a tumbler or mug. Start by making thyme simple syrup by combining 2 cups sugar, 1 1/2 cups of water and six thyme sprigs in a saucepan over medium heat. Bring to a boil and reduce to simmer until the sugar has fully dissolved, about five minutes. Remove from heat and place the syrup in the fridge to cool. While cooling, place all the ingredients in a large picture or carafe with ice and stir. To maintain flavor, remove ice after stirring. Fill your glasses with crushed ice and pour in cider mix and simple syrup to taste. Garnish by placing a sprig of thyme inside the glass, and an apple wheel or slice on the rim. Even snowmen like to get a little dirty sometimes. This recipe uses richly flavored Schwarzbier or black beer but is still light in body. Use a pint glass for muddling and a pilsner glass for serving. Moisten the rim of a pilsner glass, and then dip it into a mix of crushed hazelnuts and cocoa nibs. In a pint glass, muddle 1 teaspoon cocoa nibs and the simple syrup. Add the Cognac and shake with ice. Strain into your rimmed pilsner glass, add ice and top with beer. Use a splash of coconut milk to float on top of the cocktail. During the holidays, you really can’t escape eggnog. Fortunately, there are a number of different versions of this classic drink. Though this recipe uses rye whiskey... bourbon, Cognac and rum are also options. The choice is yours. Serve your schnogg in a 12-ounce martini glass. Combine rum, butterscotch schnapps and eggnog with ice in a shaker. Secure lid and shake. Once shaken, pour in glass, sprinkle with nutmeg, serve and enjoy. Mulled wine is a holiday staple. Similar to cider, this wine-based beverage is best served warm. This recipe uses a slow cooker for the preparation, which is a great option if you have time to kill before guests arrive or you want your batch to stay warm all evening long. Serve in footed mugs. Put the water and sugar inside a crockpot and turn on high. Stir from bottom to dissolve the sugar. Add the rest of the ingredients and heat until the wine gets to a simmer. Then turn the dial to the warm setting and let it sit for about 30 minutes before serving. Strain into mugs. Add cinnamon stick, star anise and rosemary sprigs for garnish. In case you didn’t know, mezcal and tequila are closely related cousins. Crafted by hand in small batches, mezcal has more of a smoky flavor, making it perfect for winter weather and holiday drinks. 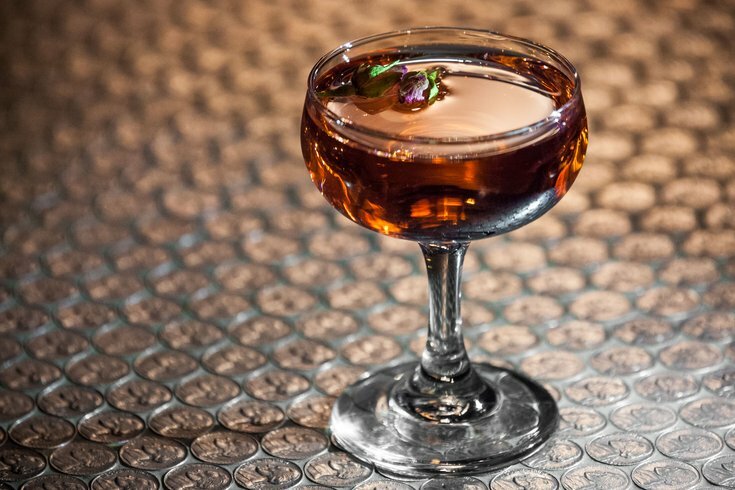 This cocktail combines that smokiness with bitter zest for a masterfully complex drink. Best served in a double old-fashioned glass. Stir the ingredients with ice, then strain over fresh ice and garnish with a grapefruit or orange peel. Not everyone has the desire to warm their bones with booze. For those playing it safe this season, these mocktails are just as delightful. 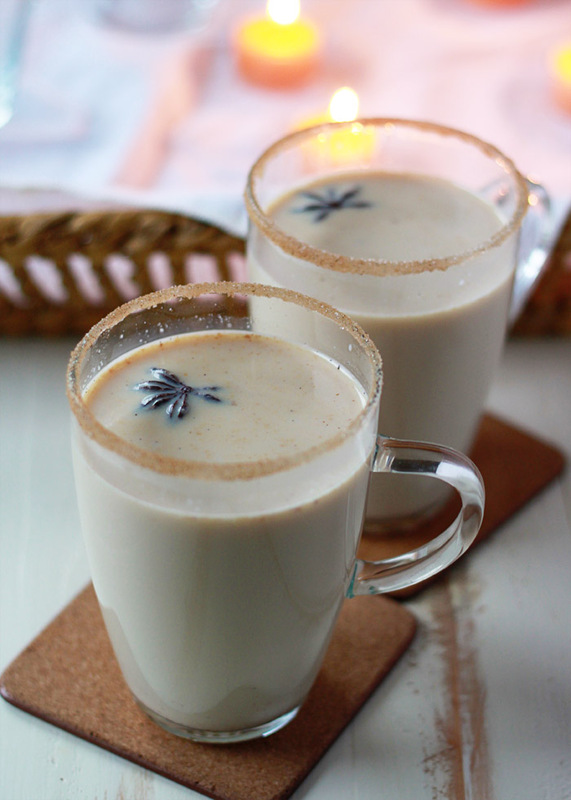 Hint: you could absolutely add booze to these holiday drink recipes if they sound enticing. There’s nothing like the scent of pine trees during the holiday season. This year incorporate that festive scent into a delicious drink. Serve in a double old-fashioned glass. 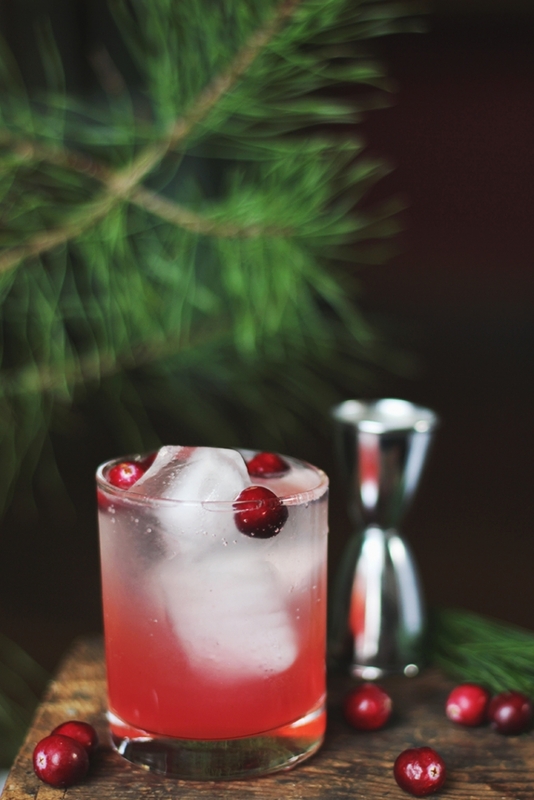 Muddle cranberries, lemon juice and pine syrup together. Add ice to a shaker, place muddled mix in shaker and shake well. Strain the mix into a glass and add Sierra Mist or Sprite until it’s halfway full. Top off with club soda. Serve over ice. Interested in keeping your mocktails more on the healthy side? Then you will love this almond-pear concoction. This is one the entire family can enjoy! Best served in footed mugs. Using a large pitcher and spoon, combine all ingredients and stir. Serve over ice and garnish with pear slices. Spiced cider is a drink that tastes great all winter long. This alcohol-free version can be enjoyed anytime and is best served in coffee mugs. Bring apple cider, cinnamon stick and cloves to a boil. Reduce heat and simmer for five minutes. Pour into mug, garnish with a cinnamon stick and serve piping hot. Presentation is everything when celebrating the season. Serve your dressed-up holiday cocktails (and mocktails) on equally fancy trays. For example, try writing a heartfelt holiday message on a small chalkboard or take it up a notch, and don't forget to draw a Christmas tree and ornaments on it. Add some shimmer to your tray by applying gold or metallic strips of tape across it. You could also do this with your favorite holiday ribbon. Have a little extra gift wrap left? Measure a sheet and wrap up your tray, complete with a bow. After all, you are serving presents. Holiday cheer begins with caroling and ends with a martini glass. This season, knock out the chill with these holiday drinks that your guests will be talking about until Santa’s next visit. Remember to always drink responsibly.